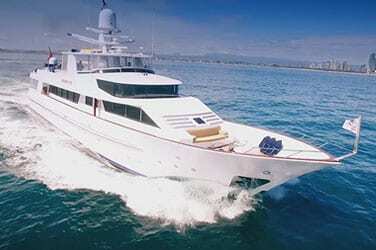 Explore the stunning beauty of the world largest coral reef or get in on the heart pumping action of big game fishing. From Lizard Island to Cairns the Great Barrier Reef is a natural wonder, waiting for you to discover from your private luxury yacht. Tropical North Queensland stretching from Lizard Island to Cairns is the gateway to the stunning Great Barrier Reef. From breathtaking coral reefs to pristine white sandy bays or the deep blue ocean teaming with marine life, the Great Barrier Reef offers exceptional cruising. Whether you're looking for a mothership to compliment your game fishing adventure, a dive trip to explore remote reefs and untouched ecosystems or a tropical island hopping holiday, Phoenix One offers luxurious accommodation and exceptional service on, in and off the water. 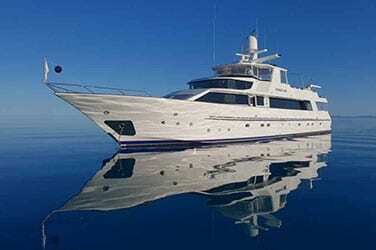 Phoenix One is available from October to November each year acting as a mothership for the Cairns Marlin Fleet. 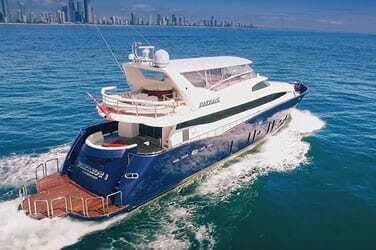 Based at Port Douglas Marina, they can also pick-up from Cooktown, Lizard Island and Cairns. Flights: Cairns International and Domestic Airport offer regular flights to the region on a daily basis with transfers to Cairns Marlin Marina or Port Douglas Marina easily available. Onward connections to Cooktown and Lizard Island are also available with local regional airlines. Marinas: Departure from Port Douglas Marina is included in your charter, and pick-up or drop-off to Cairns Marlin Marina available on request. Pick-up and drop-off from Cooktown and Lizard Island will be arranged in conjunction with your game fishing boat Captain.